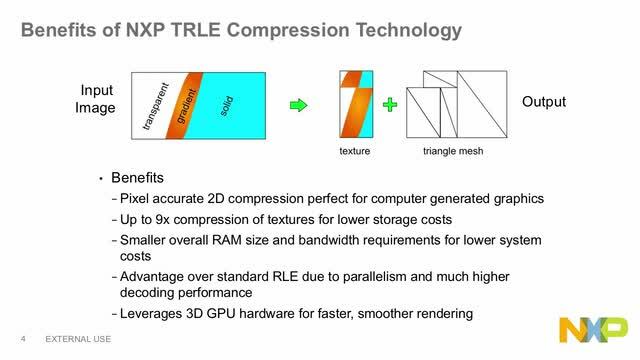 NXP's software for Tessellation Run Length Encoding (TRLE) technology provides an efficient, lossless image compression that leverages the high performance i.MX 3D GPU while minimizing memory and bus bandwidth requirements. TRLE technology enables the highest quality graphics without overtaxing system resources. This software product is offered through NXP Professional Support and Services. Please complete and submit this form and someone from the Services team will be in contact with you.